The moment you step into a room, people are immediately forming some sort of impression of you. They’re making snap judgments about what type of person you are — trustworthy, sincere, capable. And a lot of this is based on how you carry yourself. 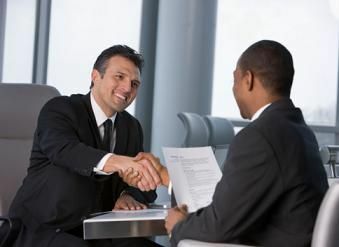 If you appear genuinely confident, people will be more inclined to give you the attention and respect that you deserve. If you appear uncomfortable and insecure, on the other hand, people may be quick to dismiss or discredit you. Because body language is an integral part of communication, and the way you carry yourself may be communicating more than you know to the outside world. Did you know that non-verbal cues represent 55% of our communication? Vocal inflection is just 38%, while our words constitute only 7% of our communication. No wonder why we say that actions speak louder than words. Because the most subtle physical cues — from how you have your hands placed to how you set your shoulders — set a tone. So how do you set a positive tone that reinforces your intelligence and capability? By carrying yourself with confidence. Unfortunately, many struggle with self-doubt. Many also believe that if you aren’t born with confidence then you are out of luck. But that’s far from the truth. Self-confidence is a skill. It is something that you can learn how to exude, even by making simple changes to your physical movements. To learn more about being self-assured and having confidence, arrange a free introduction call today.